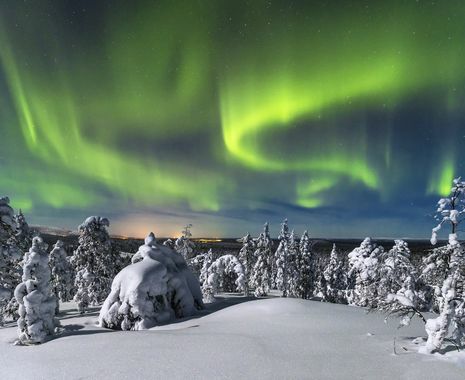 Situated just outside the town of Saariselka, the Northern Lights Village is an ideal location to enjoy a range of artic pursuits with snowmobile, reindeer and husky excursions all arranged by the property on request. Completed in 2016, the property comprises 80 glass-roofed Aurora cabins which provide the perfect opportunity to enjoy the Northern Lights in comfort. The village also includes a number of communal facilities such as The Ice Bar & Restaurant where guests can enjoy cuisine typical of Lapland and the wider Barents Sea region.